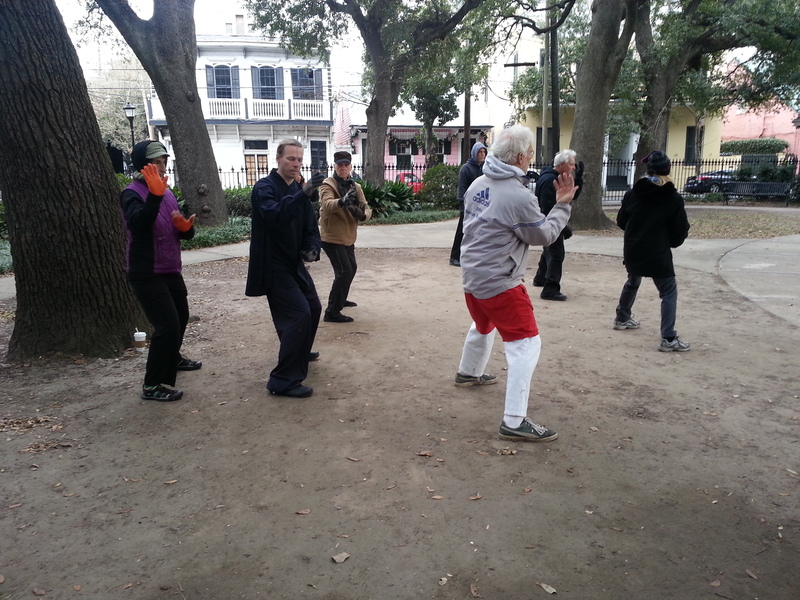 Every Tuesday, at 8 AM in Washington Square Park in New Orleans, Aedh convenes a class to spread the Wudang taiji teachings. This morning the class included push hands in relation to the form, so I got to participate with the class. Normally, I and another student practice the CMC sword a little before class and then I rock walk for 45 min or an hour till my lesson begins. I go to push hands with Aedh, who has 30 years martial arts training, and 10 years of CMC experience. 8 students for the 42 degree start of day. I got 25 min of tai chi in this morning in my home practice. I was short on both time and attention. It is a 2 hr drive to New Orleans, and it was well worth it! I also had a great Alexander Technique lesson afterwards!